Getting good diagnostic information about your system components doesn't need to be a hassle anymore. 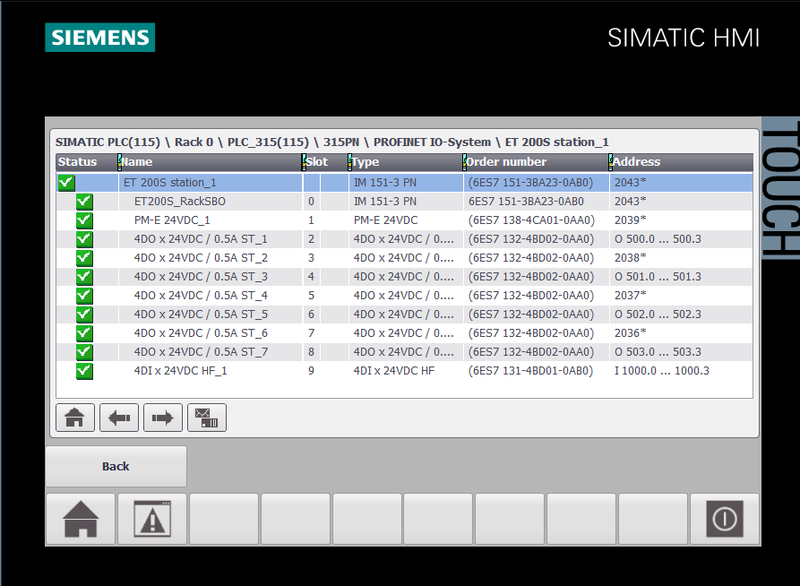 With Siemens S7-300, S7-400, and S7-1500 series PLC’s, a simple checkbox can enable System Diagnostics that work in conjunction with Siemens Comfort series HMI’s. Ok, sounds good, but what is it? 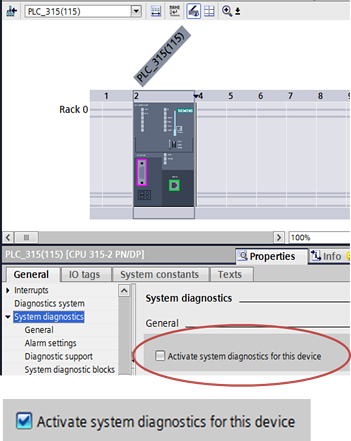 System Diagnostics is a built-in feature that allows the CPU and HMI to work together to present detailed diagnostic information for the technician. It is activated at the CPU-side within the Properties tab of the CPU. That is all there is at the CPU side. Now, at the HMI, you simply add a System Diagnostics tool to a screen. 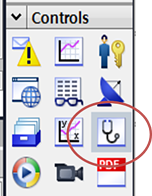 Do so by dragging the icon that resembles a stethescope from the CONTROLS group onto a screen and positioning the resulting window. In Runtime, the result is a screen showing the current status of connected devices such as Signal Modules, Remote I/O Modules, and CPU Diagnostics. Here is an example from an ET200S remote rack. 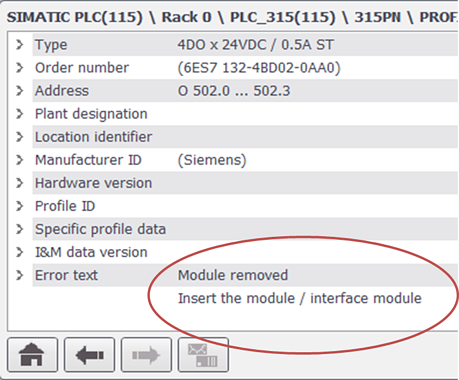 When a module is removed, there is indication at the PLC level. Drilling down gets you to the exact module that is missing. One step further gets you an explanation of the error! In addition to module data, you can observe the CPU’s diagnostic buffer. These tools give the technician a tremendous advantage in troubleshooting an issue in the field, often directing him right to the point of failure. And all it took were two mouse clicks… one to activate the tool at the CPU, and another to drag the display window into the HMI project. That is a pretty good payback for the time invested! SIRIUS ACT: The extremely rugged, most beautiful, and easy to install push button. Mark Justice is an Application Engineer for Advanced Controls & Distribution.